Volunteers are an important part of achieving our goal of finding wonderful homes for all the pets that come to our shelter. Please fill out this application and our Volunteer Coordinator will be in touch with you soon. If volunteering for a school project or employer hours, how many hours do you need? Describe any experience you have working with animals. Because of training, many of the jobs require a commitment of at least 6 months. 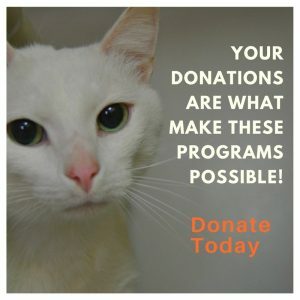 Jobs at the shelter may require a regular weekly or bi-weekly schedule. * If you are interested in transporting animals, the vehicle you would be driving must have liability insurance. I'd like to receive the e-newsletter. I can unsubscribe at any time.